Now that it’s February, the excitement of the new year has probably started to fade for you. And it’s around this time of the year that it can begin to feel like you just want to give up on your goals for 2019. This episode might be just the shot in the arm you need to get back on track! 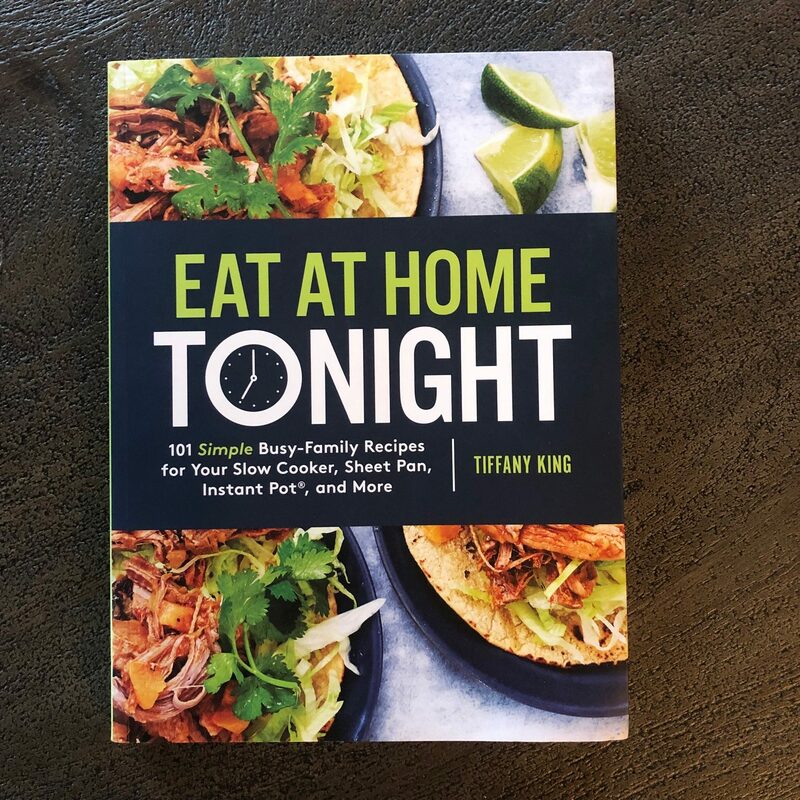 I’m chatting with Tiffany King from Eat At Home Cooks — a woman who has made it her mission to help busy women spend less time and effort in the kitchen and more time as a family. She’s joining me today for us to talk about menu planning, cooking, and tips and tricks for busy families. 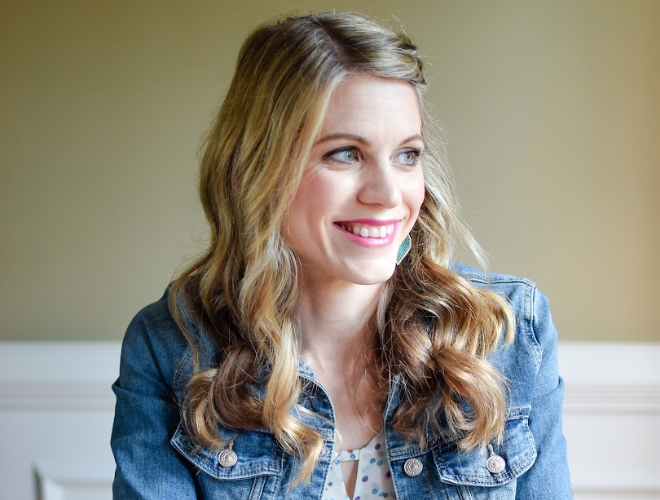 Tune in to learn about why eating together as a family has been so impactful for Tiffany and her family (even though she readily admits it’s been a struggle at times — especially when her kids were young!). We’ll talk about how to stop over-complicating dinner, why it’s okay to have super simple dinners (and we’ll give you some ideas for what might work for your family), and how to deal with trying to juggle multiple schedules and evening activities as your kids get older! By the way, if you’d like more help, I have put together a free Eat at Home Challenge. 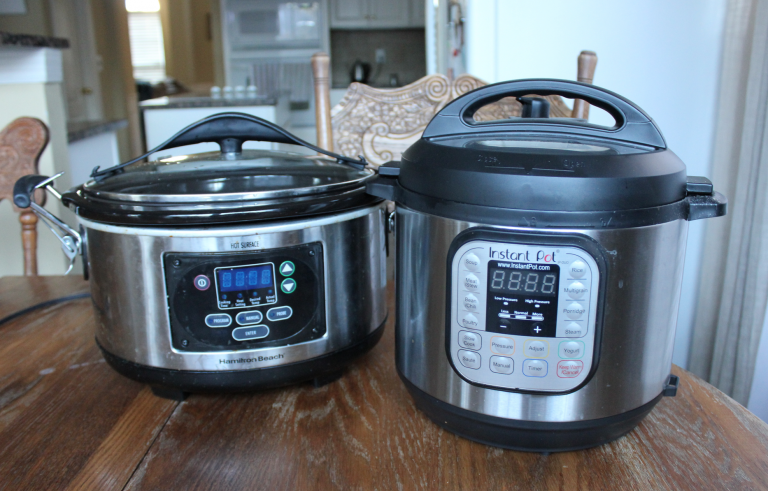 I’ll send you a one-week grocery list + menu plan + a quick and easy crockpot recipe for each day and lots of money-saving and time-saving tips and suggestions. Plus, you’ll get access to a private Facebook Group to give you more accountability. Go here to sign up for this free resource! [01:40] – This week, what’s saving my life is my very favorite magnesium. I share why I take it, how much I take, when I take it, and how it’s helped me sleep better and be healthier. [03:41] – I finally picked my top reads from 2018 (better late than never, eh?) I tell you about them on this episode! [06:52] – This episode’s amazing sponsor is You Need a Budget. We’ve personally used this software for years and love it! [09:30] – Having a plan for dinner (and having it already made) is one of the best ways I’ve found to reduce chaos in the evening and spend more time with my kids. [13:47] – If you struggle to get dinner on the table at night, you’ll be encouraged with Tiffany’s tips + you’ll be inspired to hear how eating together as a family has made such a difference in their home. [16:42] – I ask Tiffany about what to do when you have kids who have evening activities or older kids with differing schedules. She shares her go-to recipes for nights when the family needs to eat at shifts instead of all together at the same time. [18:53] – Tiffany offers advice on quick and easy meal ideas for people who feel tired and stressed out, or don’t have much time or energy. She also shares about her meal-planning system, and what gave her the inspiration to start making meal plans. [26:21] – I promised you a freebie at the beginning of this episode and here it is! I put together a week-long eat-at-home challenge based on Tiffany’s menu plans to give you a taste of what they’re like. Head to this link to sign up! [27:47] – How do you get everyone out the door on time and peacefully? I share some strategies and advice that has worked well for our family — including some words of hope for young moms! This episode is sponsored by YouNeedaBudget.com — the budgeting software we have personally used for the past two years and absolutely love. 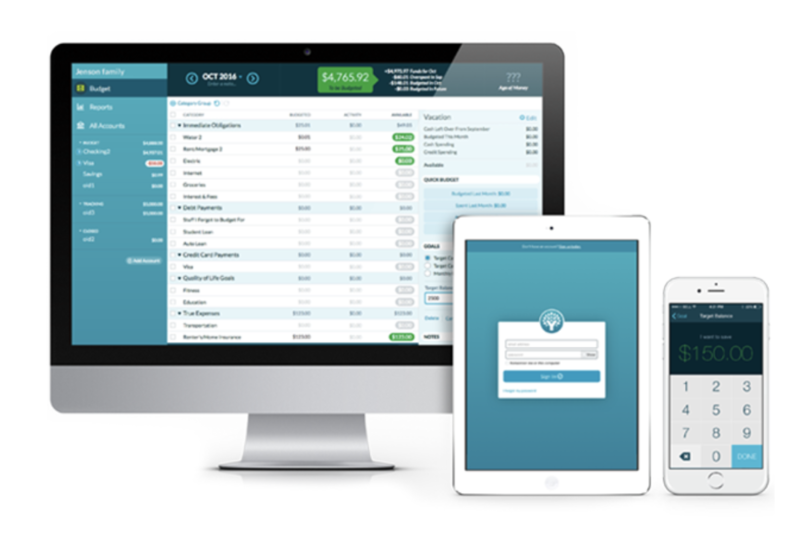 We were introduced to this budgeting software by my brother-in-law, Justin, a few years ago. He and my husband, Jesse, are both what I would lovingly refer to as “nerds”. You know the kind of people… those people who think spreadsheets are fun. And who geek out over features in Excel. Yup, those kinds of people. You might as well poke my eyeballs out with a hot iron rod than get to me be giddy over creating spreadsheets. But nevertheless, I love Spreadsheet Nerds because they help keep people like me in line and on track! Anyway, it was around Christmastime and Justin started telling Jesse about YouNeedaBudget — what we call YNAB for short. Jesse and I had both heard of this software before, but we had been using Quicken for so long that we’d not considered changing to anything else. Well, when Jesse saw the features of YNAB, he was intrigued enough to sign up for the free trial. And it was pretty much love at first sight. I’m such a pen and paper and cash girl, but after all his raving reviews, I finally gave in and downloaded it on my phone and had him show me how it works. It’s really, really impressive. I love how we can see exactly how we’re doing in every budget in just one glance. And since we have multiple budgets for our businesses and personal, it allows us to track them all in one app. Which is so handy! Next week, I’ll tell you more why Jesse loves this budgeting software so much and how it has benefitted our family personally, but for now, if you’d like to check it out, YNAB is offering my listeners something special. They usually only offer a 30-day trial, but they are giving you all a FREE 60-day trial so you can really get a feel for it and see how well it works. Go here to sign up for your FREE 60-Day YNAB trial.